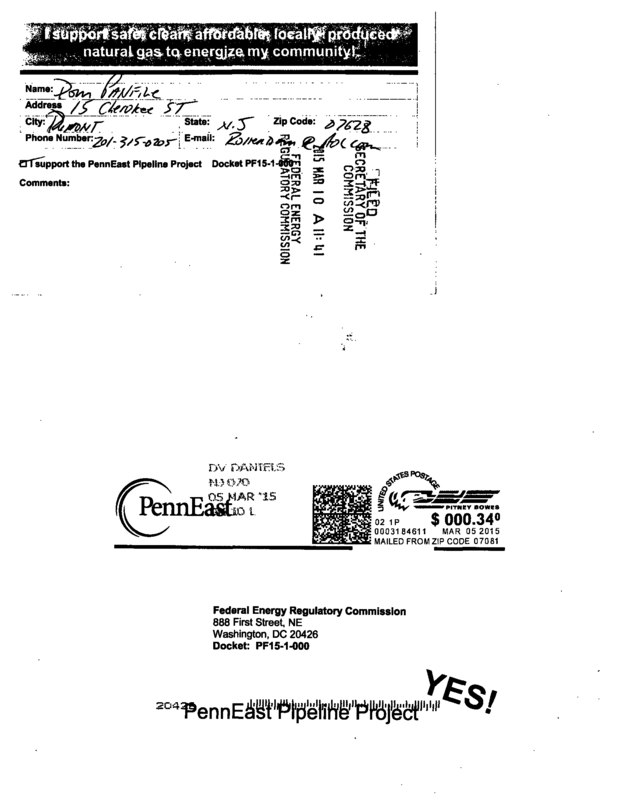 They’re all post marked the same day so I’m guessing these either were solicited from one of the scoping meetings or else someone gave them to PennEast. The logo on the top says “I support safe clean affordable locally produced natural gas to energize my community!”. These postcards could also have been given out at a union meeting for one of the unions short-sightedly supporting the pipeline, or at one of the companies that will profit from it. I have been at meetings where such postcards were given out to support a particular political agenda, and all you have to do is sign it and someone takes care of mailing or delivering. It is a way to generate numbers and to engage those too uninformed to actually write something cohesive to appear to be supporting your cause. There is usually subtle pressure or not so subtle pressure to take one and sign it.